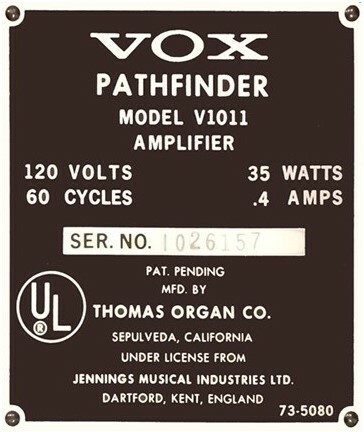 Thomas Organ developed two versions of the Vox Pathfinder amplifier. 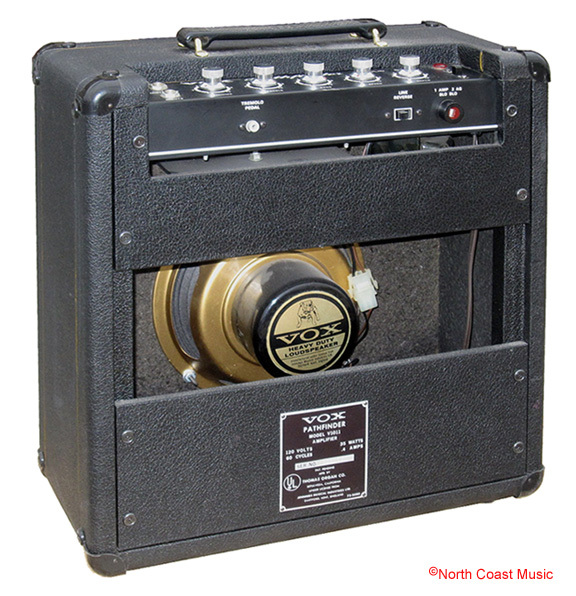 Pathfinder V-1 (1966) - Introduced in late 1965, the original Pathfinder was an all tube amp intended to be the US made replacement for the JMI Vox AC-4 amplifier. The four tube circuit featured two ECC83 preamp tubes, one EL84 output tubes, and one EZ80 rectifier tube. The single channel amp had two inputs and foot switchable tremolo. Like the British AC-4, the approximately seven watt RMS tube output stage of the Pathfinder V-1 was cathode biased. 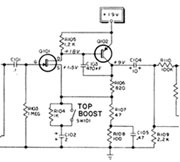 The preamp used a slight variation of the "top boost" circuit from the AC-30. An 8" Vox "Gold Bulldog" speaker, made by the Oxford Speaker Company of Chicago IL was used in all versions of the Pathfinder. The control panel featured two instrument inputs plus volume, treble, bass, tremolo speed and tremolo depth. The lower control panel included a foot switch jack and a line reverse switch. The cabinet of the Pathfinder V-1 was constructed of fir plywood and was covered in a pebbled pattern vinyl. 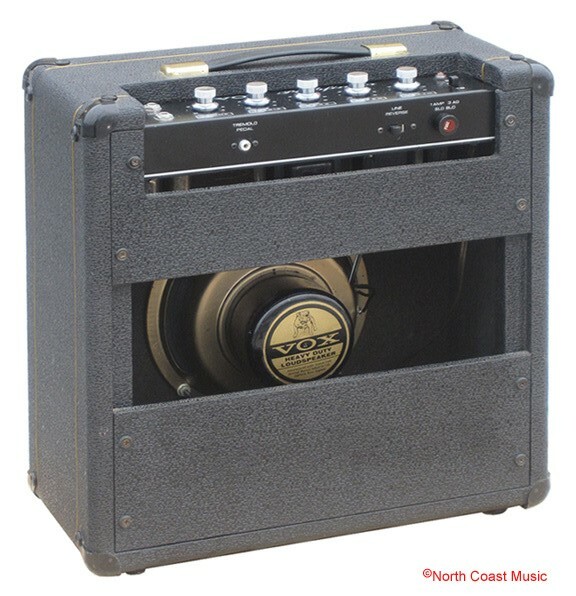 A horizontal Vox logo, eight one pin corners, a handle with brass colored end caps, and a single button foot switch to actuate the tremolo were included. The 1965 US Vox price list indicated that the retail price for the V-1 Pathfinder amp and accessory single button foot switch was $92.40. Adjusting the 1965 retail price of the V-1 Pathfinder amp for inflation to the today's value of the dollar, this amp would retail for almost $700 today. Pathfinder V101 and V1011 - Introduced in 1966, the Pathfinder V101 featured all transistorized, or "solid state" circuitry. 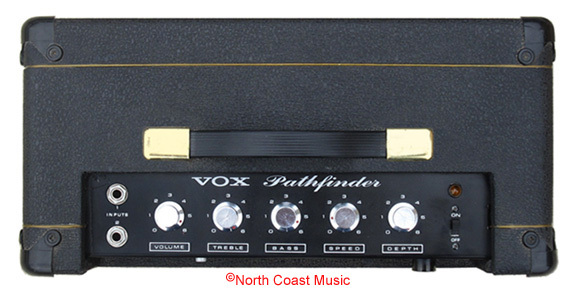 The control panel functions of the Pathfinder V101 were identical to the V-1 tube version of the amp. The Pathfinder V101 12 watt RMS power amp was powered by two germanium power transistors. 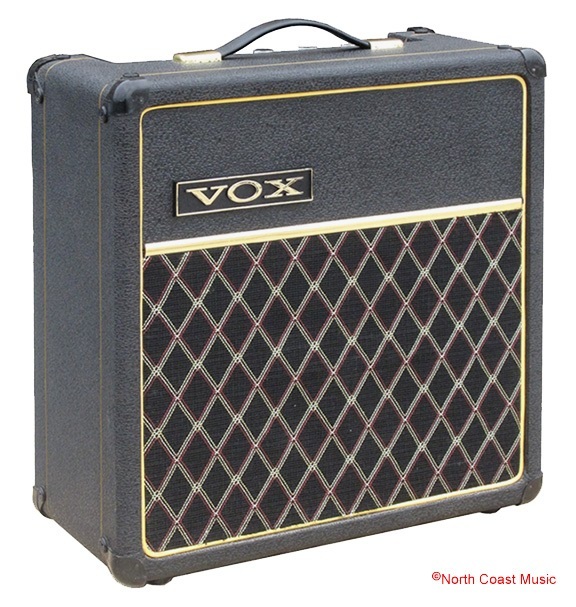 An 8" Vox "Gold Bulldog" speaker, made by the Oxford Speaker Company of Chicago IL was used in the V1011 Pathfinder. 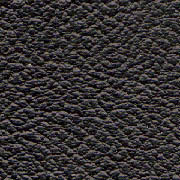 The cabinet of the Pathfinder V101 was constructed of particle board and was covered in a levant grain vinyl. A horizontal Vox logo, eight one pin corners, and a US version of the JMI Vox strap handle with brass plated handle loops were featured. 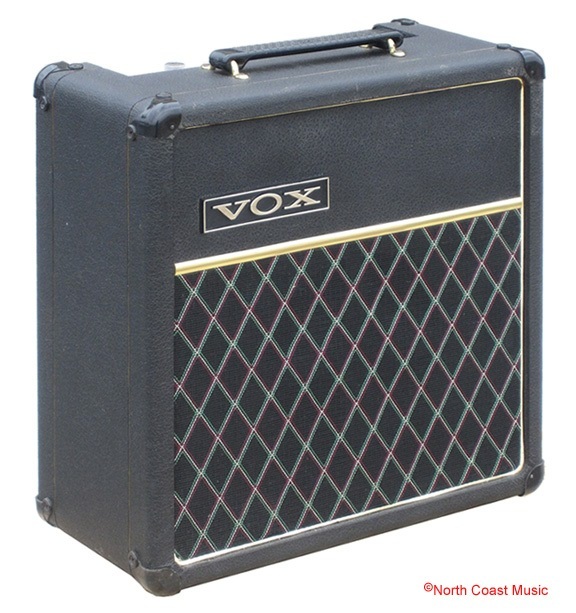 The July 1966 US Vox price list indicated that the retail price for the V101 Pathfinder, including the accessory tremolo foot switch and chrome stand, was $92.40. Adjusting the 1966 retail price of the V101 Pathfinder amp for inflation this amp would retail for almost $700.00 today. 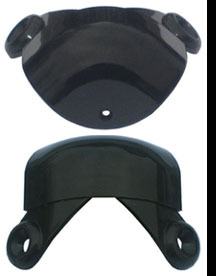 Accessories Chrome stand, Foot pedal. for the Vox Pathfinder Amp.